The older your child becomes, they become bigger and heavier they are, making it more difficult for you to put them in the car. 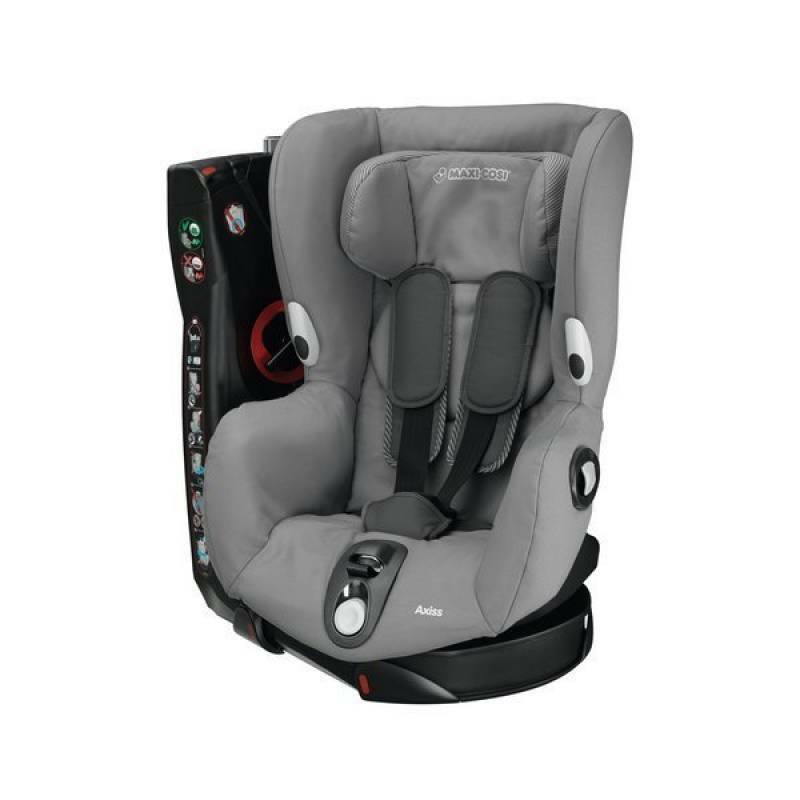 The Maxi-Cosi Axiss Car Seat offers the perfect solution; the Axiss car seat swivels 90° to the left or right to face the car door giving you easy access to the car seat. You can easily put your toddler in and take them out without having to reach into the back of the car. In addition, the headrest and harness system are simultaneously adjustable for ease of use. In short, the Maxi Cosi Axiss allows you and your child to enjoy your day out without wasting time fiddling about! The seat has 8 positions, ranging from upright to sleeping, ensuring that your child is comfortable during the car ride. This easy-to-install car seat uses a standard 3-point car seat belt and has intuitive, clearly-marked belt routing and anti-slip material on the strap protectors. The headrest and harness system are easily and simultaneously adjustable from the front. - Simple to install using a standard 3-point car seat belt, with clearly-marked belt routing. - A correctly-fitted car seat is essential for transporting your child. - Carefully read the car seat instruction manual and follow the manufacturer’s instructions exactly. - Once installed, the car seat should have very little room for forwards and/or sideways movement. - Never use a car seat on a front passenger seat with an air bag, unless the air bag is switched off. - Ensure you can fit no more than two fingers between your child and the harness straps (the thickness of your child’s clothing may vary from day to day). - If your car is involved in a collision, always replace the car seat. It could be damaged even if there is no visible external damage. - Never place a baby car seat with a baby in it on a table or raised surface. - Do not let your child sleep in a car seat at home. Of course, children do sometimes fall asleep in their car seat while travelling in the car; if they do, you should check that nothing is restricting their breathing.